Learn how to make pizza and gelato just like the Italians do! Join our late afternoon class! 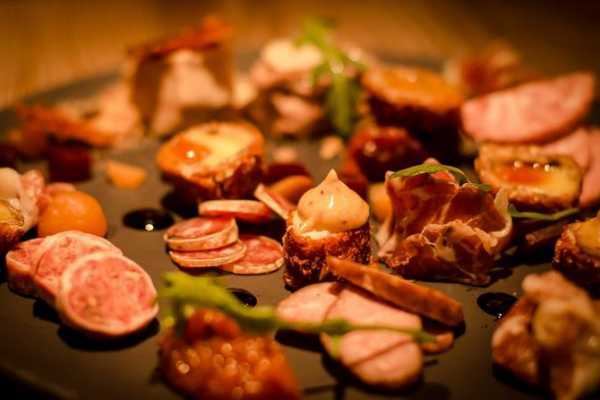 Our chefs will be happy to introduce you to the history of these glorious Italian creations! Make pizza with our professional pizza chef, called “pizzaiolo”. You will learn how to make tender, flexible yeast dough that stretches to almost paper-thinness and the trick for a flavorful yet light tomato sauce. Even if you bake pizza in your own oven, these techniques are universal and using them really makes the difference. With the pizzaiolo, you’ll make your very own pizza, you’ll stretch it, sauce it, bake it, slice it. It will be the best pizza you’ve ever tasted and you will have made it yourself! Come make pizza in Florence! The chef will tell you why gelato remains Italy’s favorite dessert while giving insight on the ‘gelato culture’ that continues to grow. You will get to know the basic raw ingredients, how to select the best products available according to specific principles, and you will have a presentation and tasting of some of the flavors used in the gelato making. You will learn about the development and application of natural colors, the heating and freezing techniques and how they have different effects on ingredients. It is always a great day to discover the recipe of the world’s most loved dessert! At the end of the lesson you will enjoy a dinner of the pizza and gelato you made during the lesson. 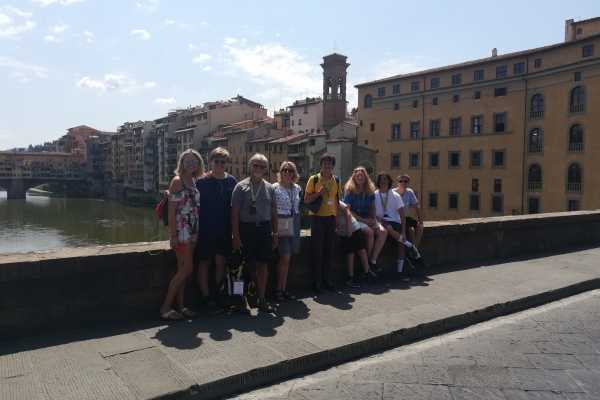 This activity is strongly recommended for families that wish to have their children learn about Italian culture. It’s an easy and fun experience that will last forever in their memory. DAYS Monday to Saturday (From the 1st of November to the 28th of February ) On Sunday from 22 decembre to 6 January Everyday (From the 1st of March to the 30th of November, except Sundays during the month of November) LANGUAGES English DEPARTURE 6.00pm (From the 1st of November to the 30th of November, except Sundays during the month of November) 3.00pm (From 1st March till 31st of October and from 22 december to 6 january ) MEETING POINT Piazza della Repubblica (next to the Apple store under the loggias, corner with Via Pellicceria) CHECK IN 15 minutes before departure DURATION 3h DISCOUNT 0-5 years free 6-12 years. 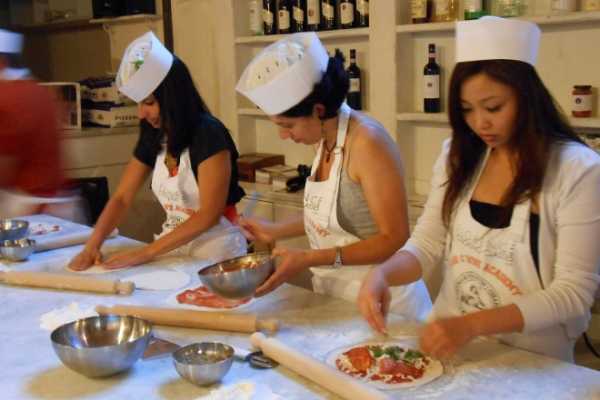 50% off INCLUSIONS Pizza and gelato lesson with famous local chefs. Use of apron and cooking utensils. All ingredients for pizza and gelato making. Dinner with wine (soft drinks for children). Graduation certificate. NOTES Please inform us of any food intolerance or allergy in advance. 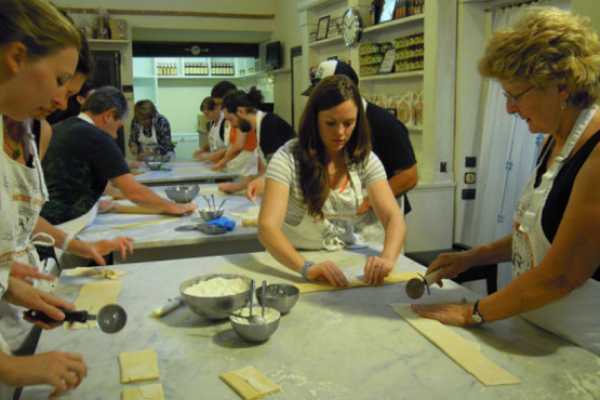 Meet one of our famous and charismatic chefs and learn how to cook a nice Tuscan meal in the heart of Florence! First step: a little walk to the Central Market, grocery shopping! You will go shopping with the chef at the central market, picking up the ingredients for your lunch. You will meet the butchers, the bakers, and the farmers selling vegetables from their gardens. You will learn how to distinguish the highest quality ingredients and taste local and typical products! After this fun experience you will reach our fascinating home-like professional location, just a few steps from the central market, where you’ll enjoy a delicious tasting of typical products and you will start putting your hands on the ingredients to create your own meal, driven by the expert guidance of one of our Chefs. Your menu may slightly vary depending on the season and the availability of fresh ingredients, but will usually consist of bruschetta, different kinds of fresh home-made pasta from scratch (i.e. tagliatelle and ravioli), sauces for the pasta, and a dessert. 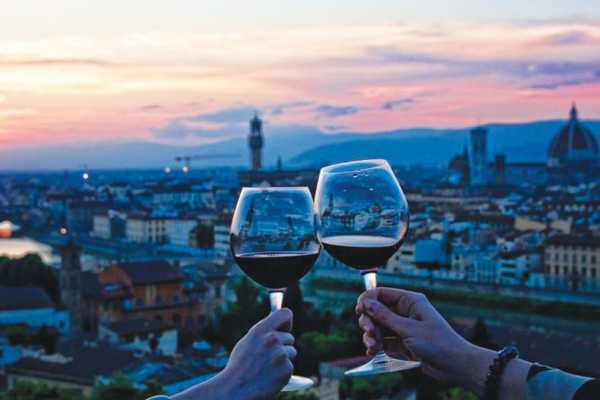 In the end you’ll eat the meal you prepared yourself, accompanied by two glasses of selected Chianti wines. And finally get your Graduation Certificate! Please note that when the Central Market is closed (on Sundays and bank holidays) a special introduction and extra tastings at the cooking school will be substituted instead. DAYS Monday to Saturday (From the 1st of November to the 28th of February) Everyday (From the 1st of March to the 31st October )) LANGUAGES English DEPARTURE 9.00am MEETING POINT Repubblica Square (next to the Apple store under the loggias, at the corner with Via Pellicceria) CHECK IN 15 minutes in advance DURATION 5h 30 min DISCOUNT 0-5 years free 6-12 years 50% off INCLUSIONS Visit to the Central Market of Florence with our Chefs; Food and local products tasting; Cooking lesson with famous local Chefs; Use of apron and cooking utensils; All ingredients for your lunch; Lunch with Wine Tasting (2 glasses of wine); Graduation Certificate. NOTES Please note that when the Central Market is closed (on Sundays and bank holidays) a special introduction and extra tastings at the cooking school will be substituted instead. Please inform us of any food intolerance or allergy in advance.